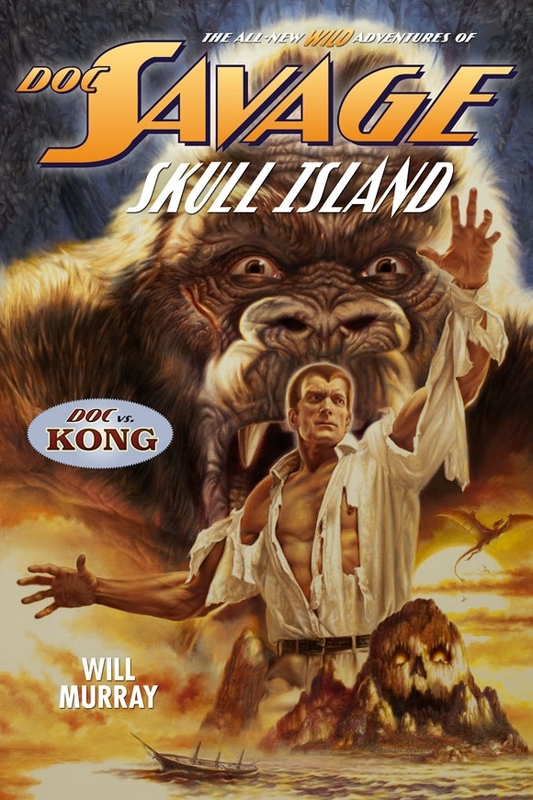 When I first heard that Doc Savage was going to meet King Kong in the newest Wild Adventures of Doc Savage book by Will Murray, I couldn’t believe it. Then, after I thought about it for a moment, I wondered why no one had ever thought to tell that story before. Well, now it’s told, and Murray does a fantastic job not only of sharing the pages with King Kong and Doc, but also of presenting readers with the best view of Doc’s young life we’ve ever seen. Philip Jose Farmer showed Doc in the dark days of the Great War, but I had trouble with that one. Murray’s offering is really good. The young Doc we have here has father issues (like we wouldn’t have known that after he’d gotten shipped off for scientists to train), but he’s also more vulnerable than we’ve ever before seen. Doc is also violent and almost bloodthirsty. Later in his career he opens his “crime college,” where he operates on the brains of criminals to make certain they never operate outside the law again (which begs a whole different set of questions about Doc’s right to do such a thing), but in this novel he kills a lot of people. He also kills them in lots of different ways. This father/son not-quite-bonding is at the center of this novel, though it doesn’t slow down any of the action, and adds a facet to Doc that longtime fans had always suspected but never got the chance to see. The fact that the father/son issues were also there for Doc’s father and grandfather was enlightening. Stormalong Savage, Doc’s grandfather, is legendary, potentially the germ of the tall tales about the 30-foot tall sea captain in folklore. I kept imagining Popeye to a degree, which threw off the read a little for me, but I settled in after a bit. The story also includes a nod to Doc’s inventive nature while he tinkers with his Annihilator, which sounds a lot like the pistol shown on the Bantam cover for Murder Melody and the pistols his aides use that are loaded with “mercy” rounds. Murray provides a lot of touchstones in the tale for fans of Doc Savage as well as a good entry point to the series for those who have never before picked up a Doc Savage book. Skull Mountain Island is well done as well, and the place feels very much like one of those “lost” places that I read about in Sir Arthur Conan Doyle’s Professor Challenger novel, The Lost World, as well as the works of Edgar Rice Burroughs. In fact, Murray has Doc often thinking of himself or referring to himself as Tarzan. I had a lot of fun with this one, and it took me back to the days when I was opening those books up for the first time and discovering all the worlds of adventure that lay before me. This entry was posted on May 8, 2013 at 2:59 pm and filed under Adventure,ebook,Pulps,series fiction. You can follow any responses to this entry through the RSS feed. You can leave a response, or trackback from your own site.